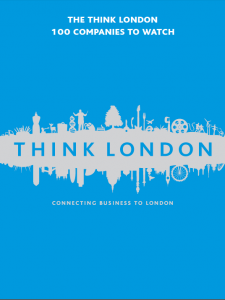 Think London 100 Companies to Watch is a celebration of businesses that are predicted to dominate London, European and even global markets. You’ll find a mix of companies in all eight categories: Industry Innovators, Go-ahead Globalisers, Green Pioneers, Niche and Nimble, Knowledge Champions, Intelligent Optimisers, Flagship and Great Inventions. Ultimately, our list is a testament to London’s world-wide reach, receptiveness and plurality, creativity, ambition and peerless ‘can do’ attitude.